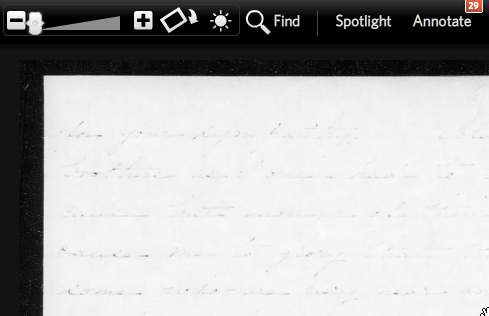 We do all we can to get the best quality images on the site, but sometimes the condition of the source images we have (microfilm, microfiche, paper) leaves us with digital images that are hard to read. In some cases, there isn’t much that can be done, but with most of these images, inverting the image or adjusting the brightness or contrast can bring out details that make all the difference. 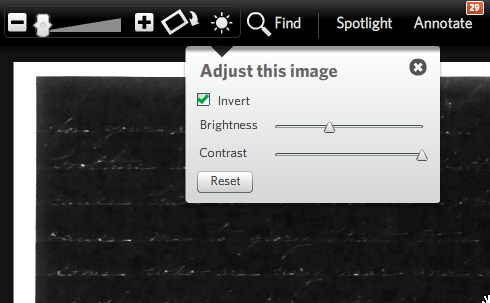 These image adjustments aren’t magic and can’t make every image readable, but they can make a big difference if you are having trouble making out a word or some other detail from a document. Invert is particularly handy when the original image is a negative, like this example from the Marine Corps Vietnam photos. 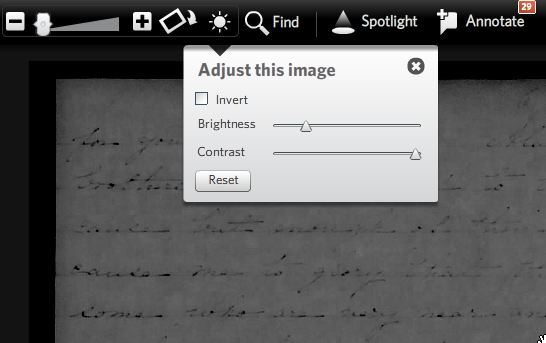 In addition to the image adjustment tools, we’ve improved the “Find” tools for searching text within an image and updated the filmstrip to make it clearer where one document ends and the next begins. One other change worth noting is the update we made to the headers across the site. The new design should make it easier to get around the site, use search and browse, access your account and profile items and remember the last 4 images you viewed (“Your Recent Activity”). As always, we hope you’ll try these new features and let us know what you think. did george eckman serve on front in Vietnam war? List of Viet Nam Veterans from overseas? I’m just starting to review the Footnote opportunity, but am confused by all the aspects on line. Can someone send me a basic synopsis of what Footnote is all about and how I can make use of the offerings relating to Genealogy? Sorry to be so uninformed, but how do I find out what Footnote is all about and how to kae use of it.